Delicious Chinese Broccoli (gai-lan) with light and aromatic ginger and wine flavors. 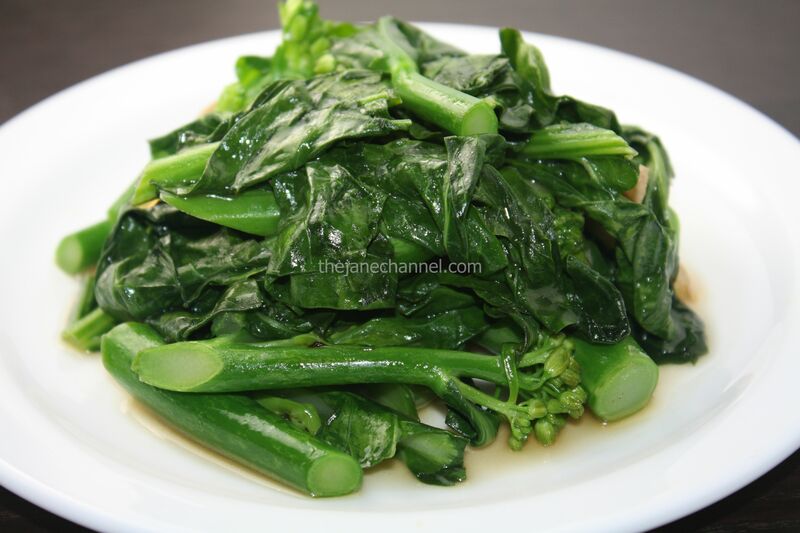 With fresh ingredients and prepared properly, the gai-lan should be crunchy but not chewy. The sauce should be light, but with a slight kick from the ginger. The color should be bright green. Heat oil in skillet over high heat. Add ginger, stir until fragrant. Add chinese broccoli, wine, sugar and salt. Mix well and cook until middle of stems are slightly translucent but with still a hint of white. Do not overcook! This looks like a great side dish!